the art of cooking and eating amazing food. My love affair with Mexico began when I arrived by train to San Miguel de Allende in May,1966 to study Art for the summer. San Miguel was a very small, colonial village located in the Central Mexican Highlands. The population then was 7500 people compared to 160,000 now. I was bitten by the Mexican bug...all Mexican colors, sounds, food, flowers and big Mexican smiles.I was hooked!!! I returned in 1969 to get my Masters degree in Fine Arts at the Instituto Allende and planned to go to Greece.I never made it to Greece until 40 years later. 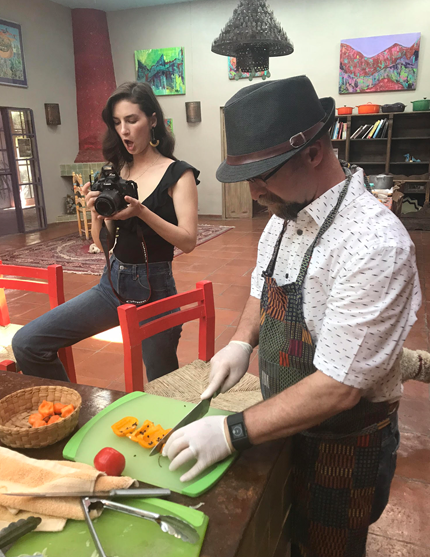 I,now, have been living in San Miguel and other parts of Mexico, but my heart is here and I always return to be in San Miguel...My Mexican friends call me la Gringa Mexicana...I love to share my experiences and recipes that I have collected during these years. Getting to my home is part of the adventure. 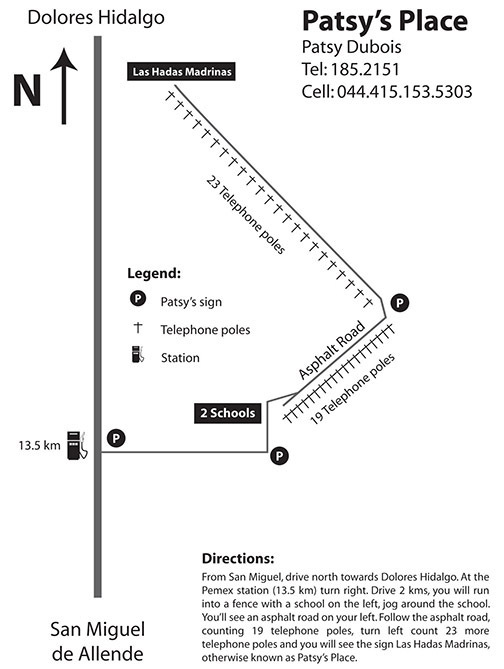 I live outside of town in the direction of Dolores Hidalgo and near the UNESCO site of the Atotonilco Church. To make it easier I now provide transportation for my students and soon to be new friends. Welcome to my world-cooking and sharing. I invite you to join me while we explore and enjoy Mexican Cuisine at its best. 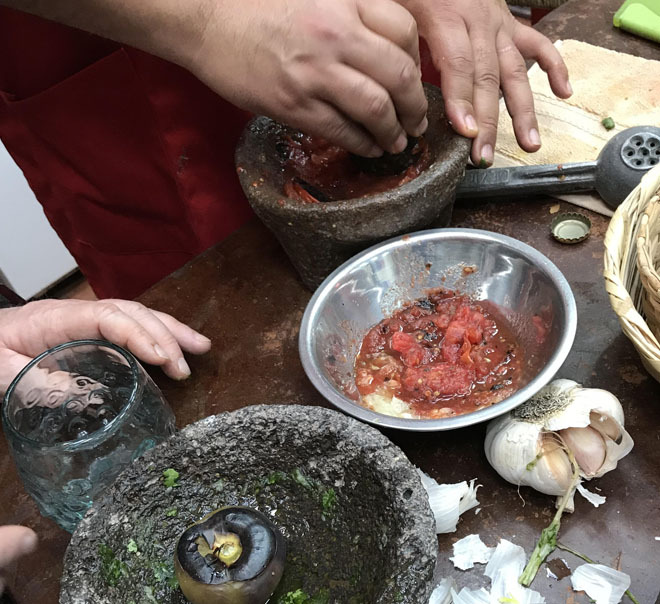 Together we will expérience the magic and texture of such amazing ingredients and spices found in Mexican regional dishes-a true Marco Polo spice explosion. I am sure that you will share these recipes with your family and friends, again and again. Each class is individually designed and completely hands-on. On the following pages are different ideas in which you can choose your dishes and together we can come up with an individually unique class. 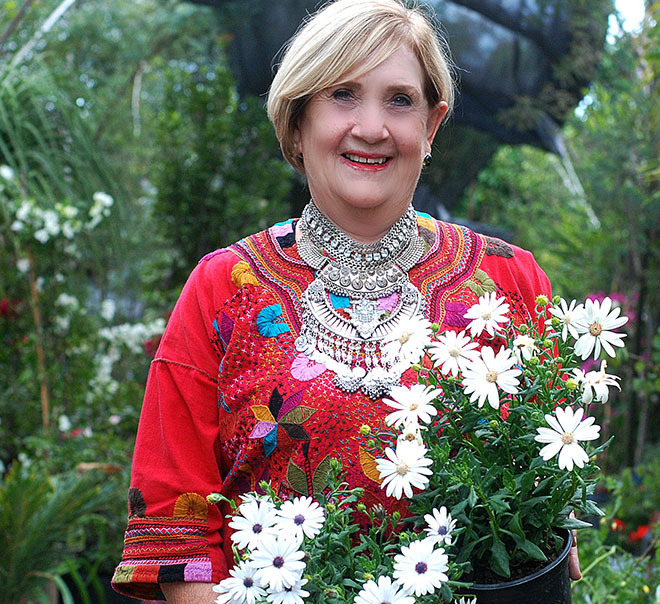 I pride myself by offering my students the best and freshest seasonal ingredients found in this region and in Mexico. Classes are usually about four hours and we eat and drink throughout the class. No one leaves hungry! I have created a hacienda style kitchen which I happily share with my students and lunch guests. I use the vegetables I grow in my gardens and greenhouse in our cooking adventures. In my introductory classes we will share 4 hours getting to know the basics about Mexican foods. We learn about chile’s, nopales, and the use of vegetables in Mexican cooking. And of course we prepare everyone’s favorite… guacamole. The classes are completely hands-on and we snack the whole time. After we’ve eaten and it’s time to go, I give you as a gift, printed copies of the recipes we created and enjoyed together that day. This is my opportunity to show you My Mexico… all the colors and textures that create the subtle flavors of Mexico. Cooking classes are held when I have 4 or more interested students. Coming to my house in the countryside is part of the adventure. Most classes last 3 1/2 hours and we eat and drink our way throughout the class. Completely hands on and the cost is $120 US per person, includes transportation; either in pesos or dollars. You can decide when you prefer your class - Morning, afternoon or early evening.